On June 5 last year, June Wanza Mulupi walked into Surgeoderm Healthcare Limited, a private clinic in Nairobi, to have her breasts enlarged and firmed up. She was 35 years old and a mother of three, considerably healthy, and looking forward to leaving the clinic within hours. But that was not to be as, a few hours later, and despite assurances by the surgeons that she would be fine, she developed complications that killed her two days later, leaving behind a distraught husband and their three children. Eight months after Ms Mulupi's shocking death, investigators have pointed accusing fingers at the three doctors who operated on her, as well as the management of Surgeoderm Healthcare Limited. 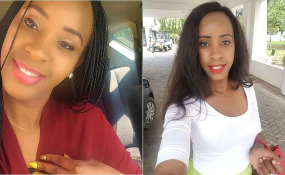 The Kenya Medical Practitioners and Dentists Board (KMPDB) found that Dr Martin Ajujo, who led the procedure, was still a trainee and was not licensed to conduct surgery without the supervision of a practising plastic surgeon. A shareholder in the clinic, Dr Ajujo was supposed to work under the supervision of another shareholder, Prof Stanley Ominde Khainga, who is also the head of the plastic and reconstructive surgery department at the University of Nairobi. Investigations into the matter also revealed that, although already graduated, the anaesthetist, Dr Evans Charana, did not have a private practice or locum licence from KMPDB. He also had no professional indemnity insurance as required by law. At the time of the operation, Dr Ajujo was a plastic surgery and reconstructive registrar at Kenyatta National Hospital.